Both of your dresses are beautiful! PRINTS are great shoutouts for SPRING!!! U both did it good again. Customised too? WOW. WOW!!! Members Only has definitely stepped their game up! I love the jackets ladies!!! You ladies look amazing those jackets are stunning!!! Members only jackets have really come a long way! Now...on to the gorgeous dresses!!! Love the prints and the designs! Never heard of members only jackets.. shall check it out. love how both of you have styled the gorgeous dresses. fabulous! both those jackets are gorgeous! I like both dresses, they have great colours&patterns. Your hair style are so diferent but lovely both. I love these photos! 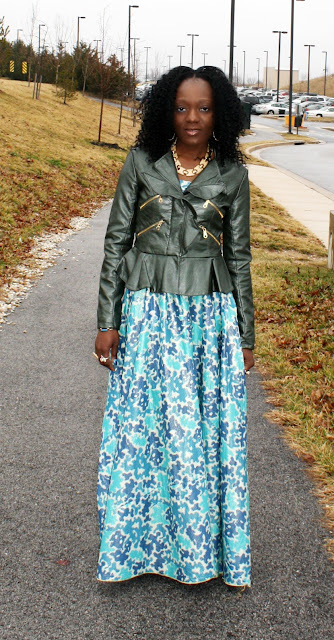 There's nothing I love to wear more than maxi skirts! Your dresses are amazing! I have a short-lengthed one but would love a long one. I'm going to try to get me some made. As always, lovely ladies! SHOP ELEGANT PIECES' NEW RELEASE; CLASSICAL CLASS STUDS! Also receive 15% off on marked down jewelry!! Love those jackets and your dresses are both so beautiful! Beautiful! love the light blue dress!!! You girls look amazing, LOVE the dresses! Loving the looks ladies, you both look amazing! You two look awesome.!! 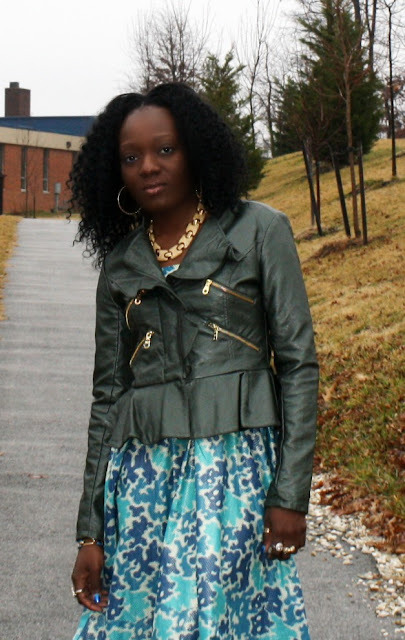 !Love the printed dress & green leather jacket. Looking fab!! Very beautiful dresses and jackets love it! I love the ball gowns paired with leather jackets! How do you girls always keep your fashion ideas so new and fresh?! 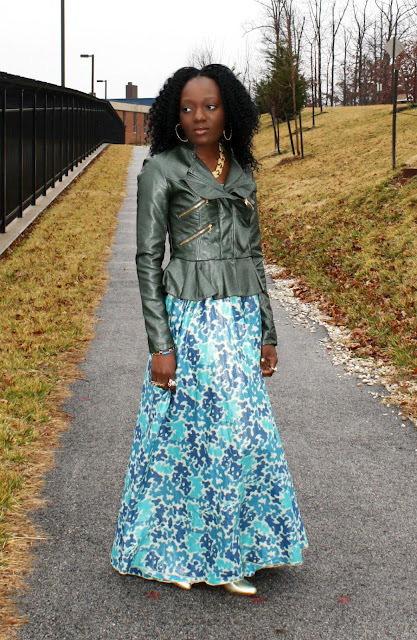 Looooove this jackets and skirts. LOVE the coordination of this post! The long dresses with the cinched waist jackets are perfect!! Can't believe those are Member's Only jackets! Girls, your customized items are amazing!